It’s hard to keep on top of everything that you need to complete in order to run your classroom creatively, efficiently, and effectively. That’s why cleaning may end up at the bottom of your to-do lists. It’s hard enough to keep up with class prep, let alone clean countertops. 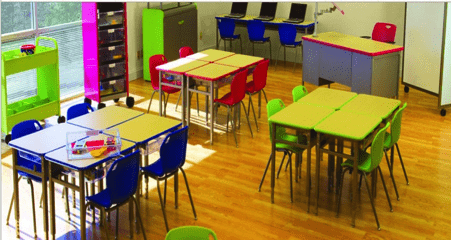 But a cleaner class environment can help you create a more productive learning space, and just a few hacks can be surprisingly successful at mitigating the daily dirt and clutter. These hacks don’t require specialized cleaning materials, but just readily available and often inexpensive items. Disinfecting wipes come in handy, as does hand sanitizer and paper towels. Even a hair dryer can offer an unusual solution (think sticky residue, be gone!). Want more ideas? Use this graphic, made by the people over at Quill.com, to get started.